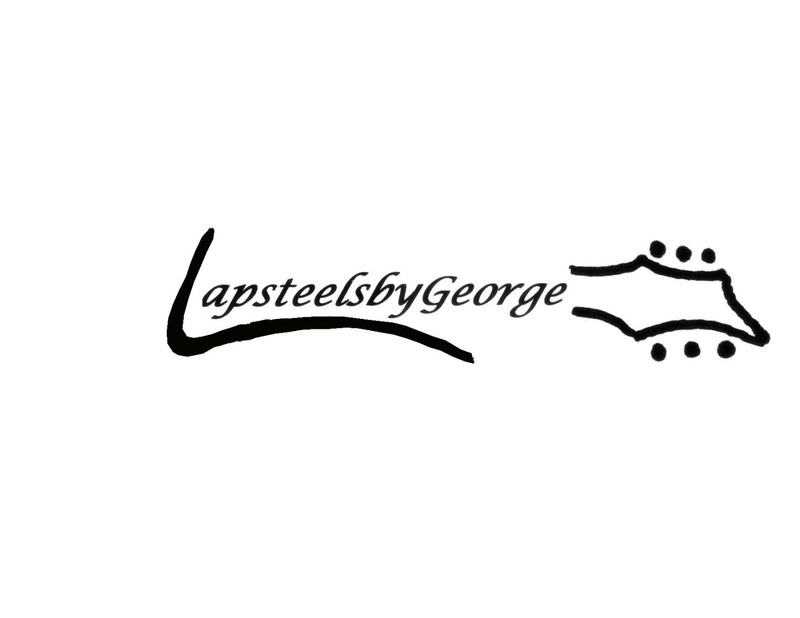 Hi, I'm George, and I've been making lap steels since 2011. 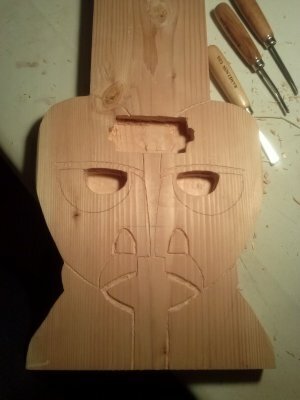 I started out by making a simple one using a 2x4. 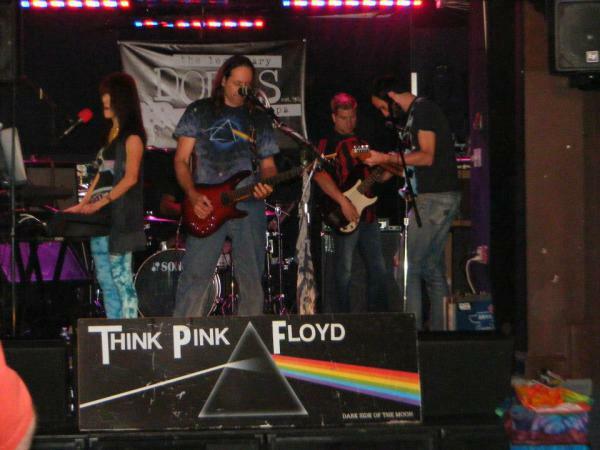 Since then I've been coming up with my own designs, honing my skills with everyone I make. 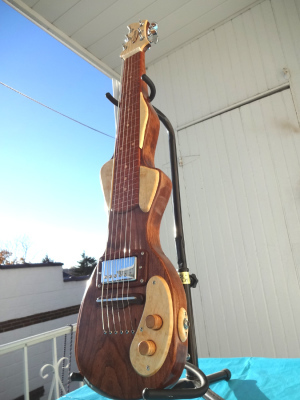 I'm always looking for new kinds of wood to work with, different densities and thicknesses. 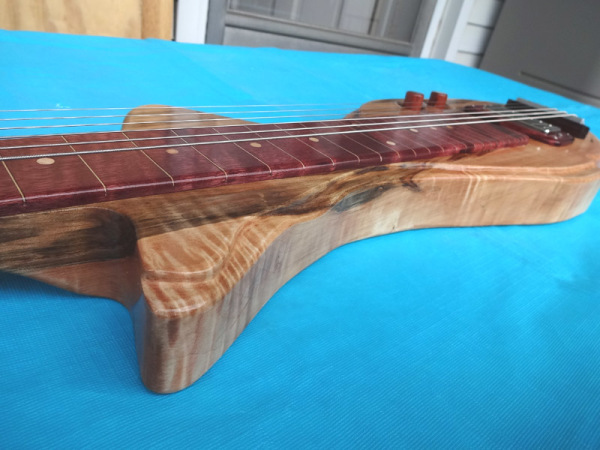 I make all my lap steels using the strings through the body, as to capture the true tone of the wood. I only use quality components. From the electronics, to hardware, I take no short cuts. This is a labor of love for me. 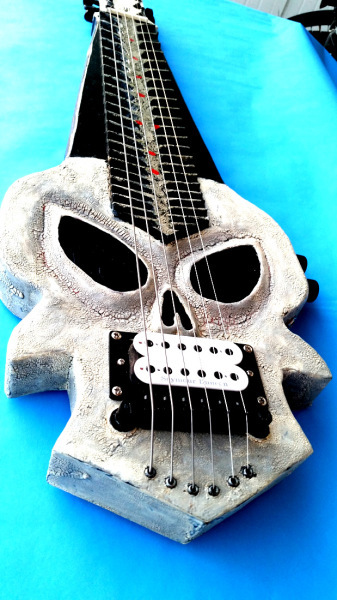 If you would rather have different hardware, like pickups or tuning pegs, I can also accomodate. If you're local, you can stop by and play one that you're interested in. 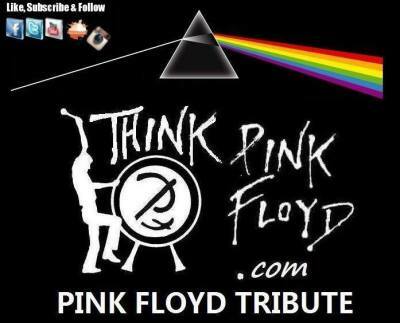 I can also put a video together if you want to listen to one if you're too far away to visit. 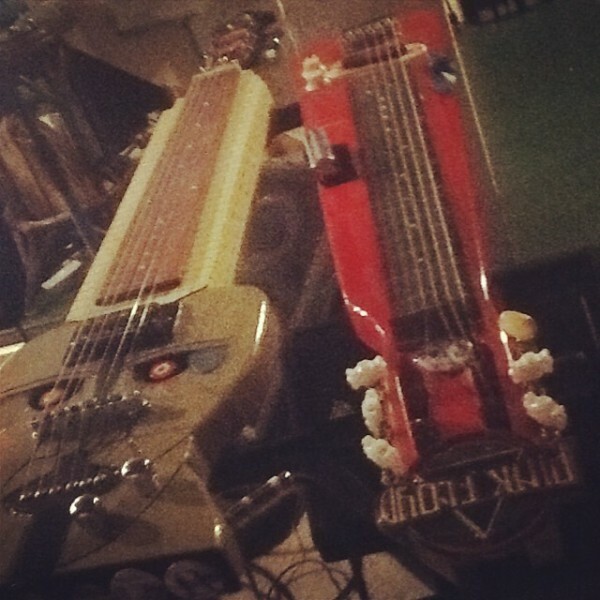 Every lap steel I make is strung up with new strings, and tested. If for some reason you're not 100% satisfied, I'm sure we could work something out for me to make it right. ​ I will respond within 24 hours. 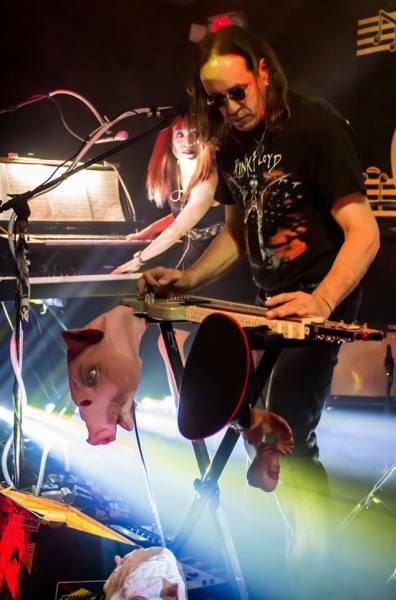 Pink Floyd tribute band out of Philadelphia, PA.
Billy Martin, guitarist, and I collaborated on on a lap steel design he wanted me to make. 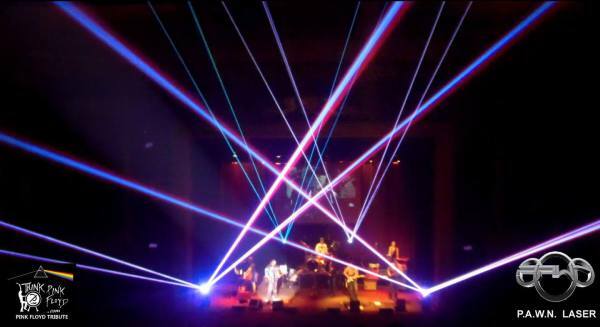 This is what we came up with. 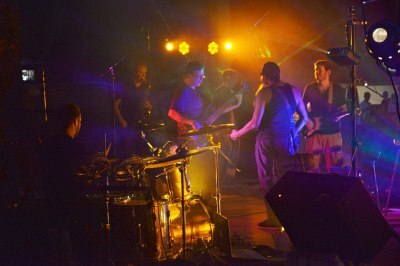 He sent me these pics from some of their performances. 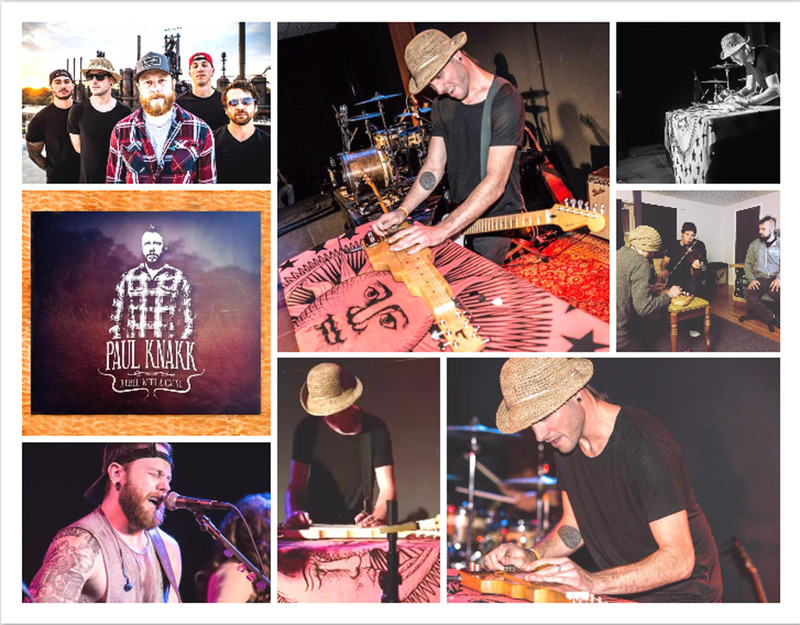 A collage I put together of The Paul Knakk Band, at his debut CD release concert at The Steel Stacks at the old Bethlehem Steel. 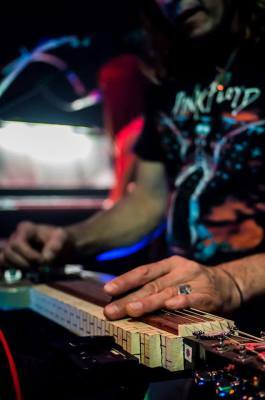 That's Geoff Black playing the lap steel I made for him. 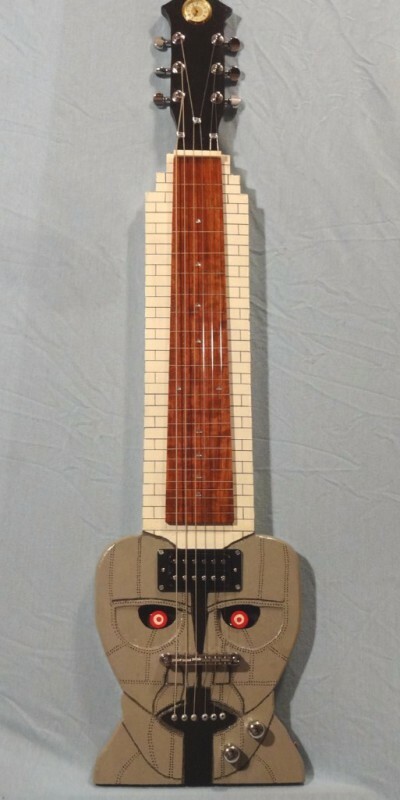 ​-32" x 7.5" (at its widest) x 1.75"
-Honduran Rosewood Pickup ring, pick guard and fret board. 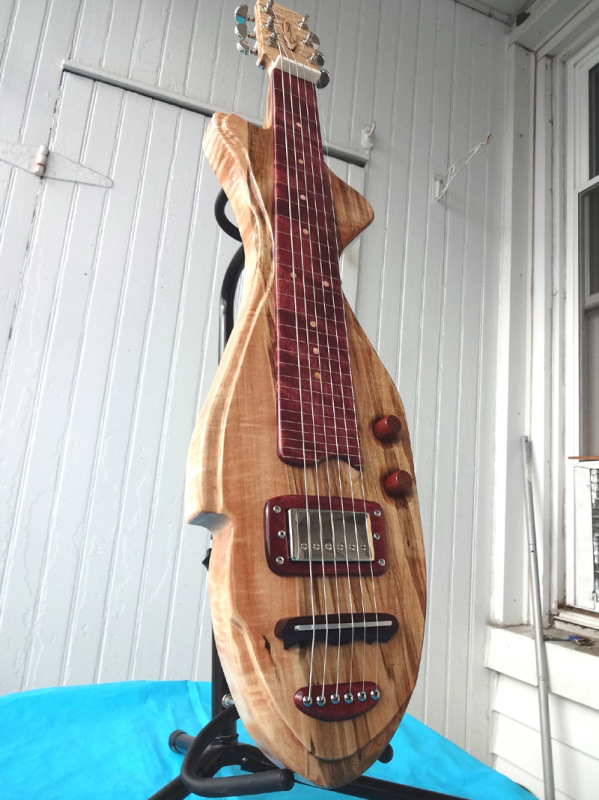 Made from a plank of Cherry wood. 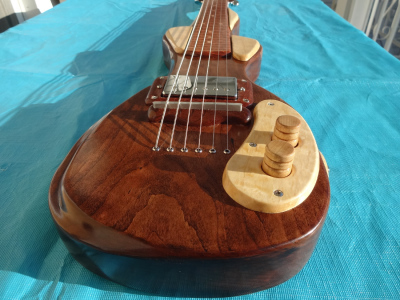 -Seymour-Duncan Jazz pickup and Grover tuning machines. 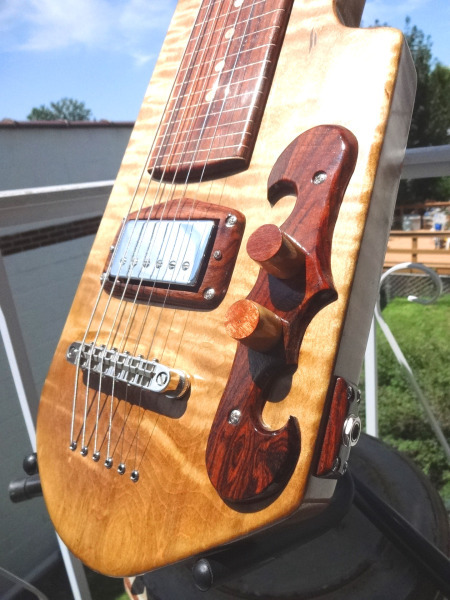 The bridge and pickguard are made from African Bubinga. 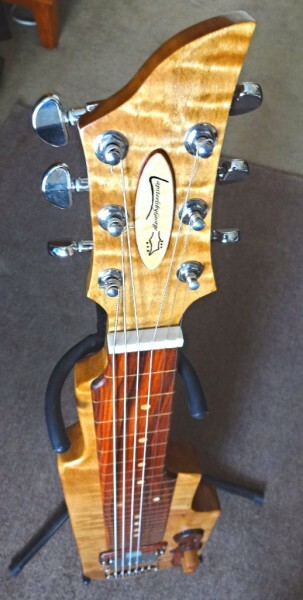 The fretboard and pickup ring is Honduran Rosewood. 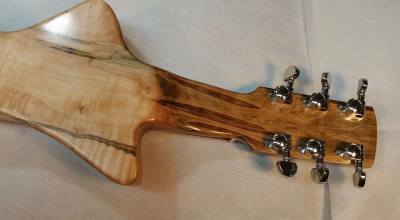 The finish is 8 coats of True-Oil gun stock varnish. 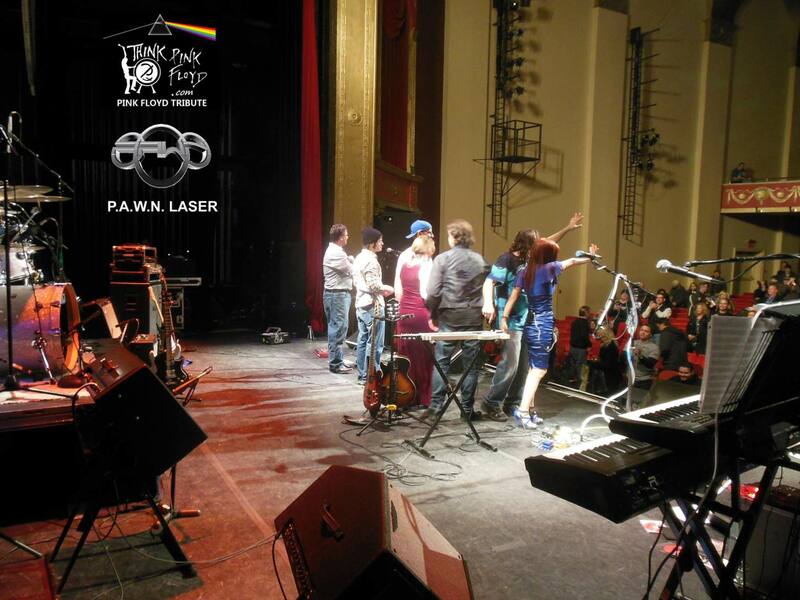 This finish is durable, and will not crack or yellow with age. 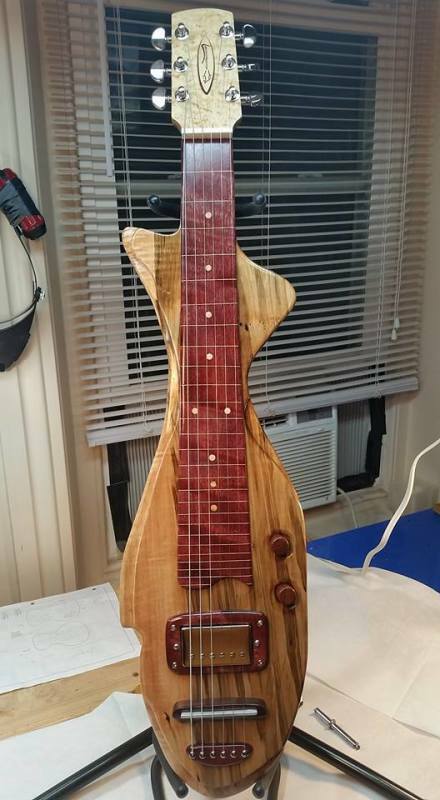 Below is a Lap Steel made from one solid plank of Tiger Maple. 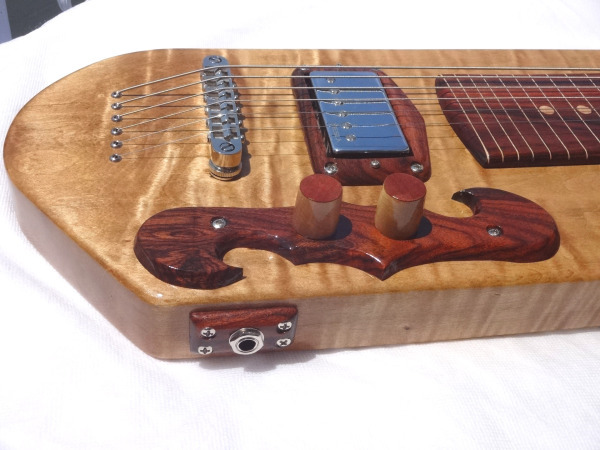 -I dropped a Seymour-Duncan Custom 5 Humbucking pickup in this lap steel. 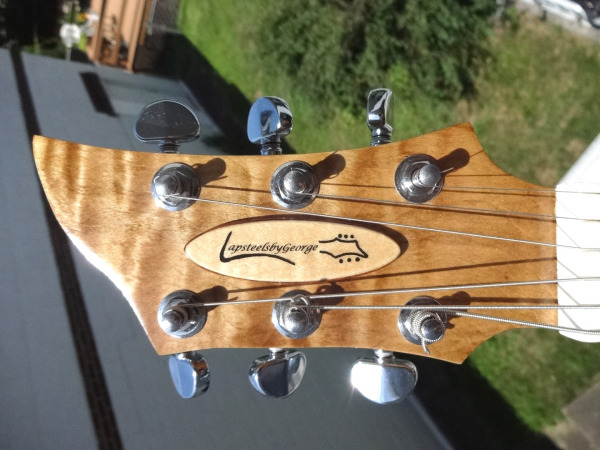 It's a very versatile pickup that offers optimum balance of warmth, punch, power and clarity. 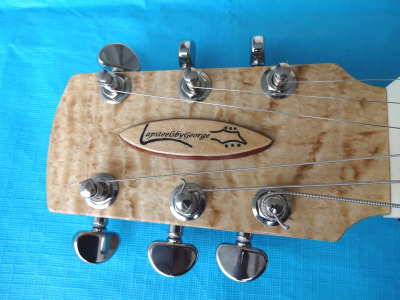 -The string tuners are quality Nickel Grover Rotomatic Tuners. They are topped off with 2 chrome metal knurled knobs. 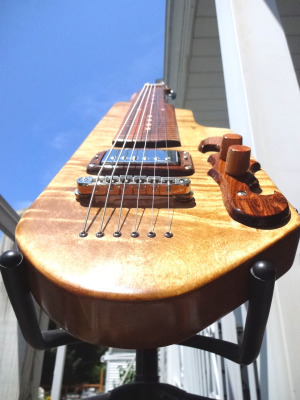 -The fret board is one piece of Curly Maple. 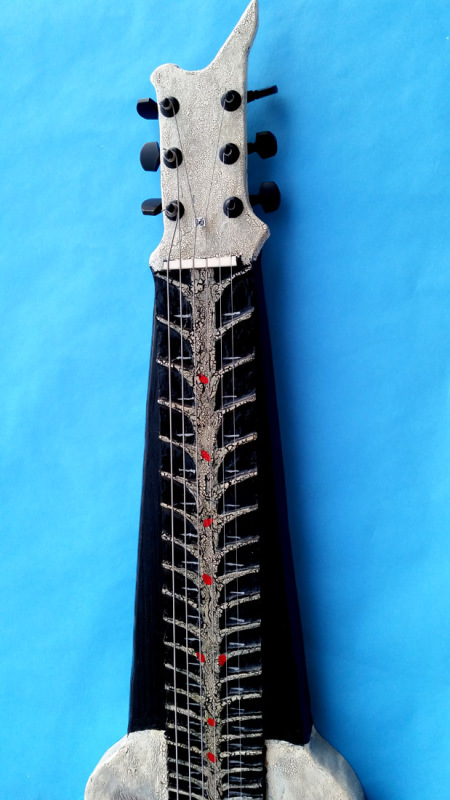 For the frets I used Makore veneer and a dark contrasting wood for the fret markers, then sanded them flush. 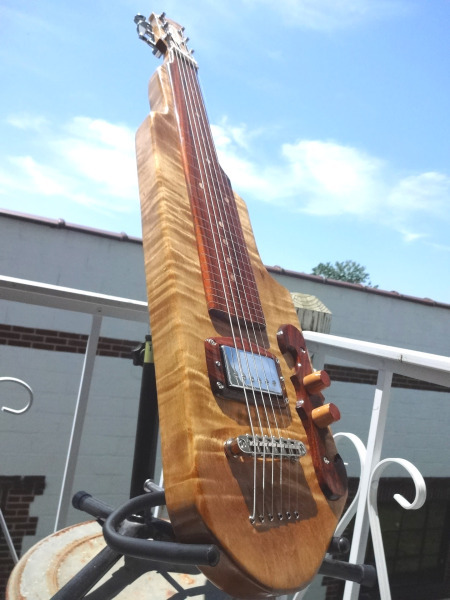 -I carved the pickup ring from a piece of Yucatan Rosewood. 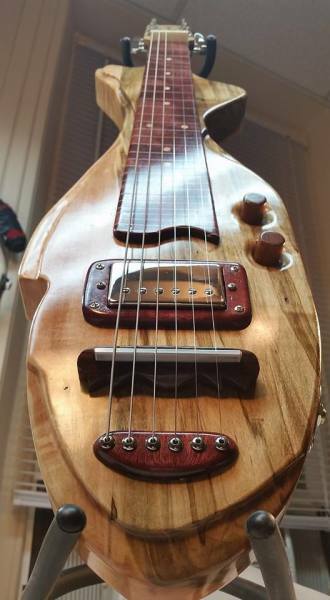 -The pick guard is made from a piece of African Bubinga. 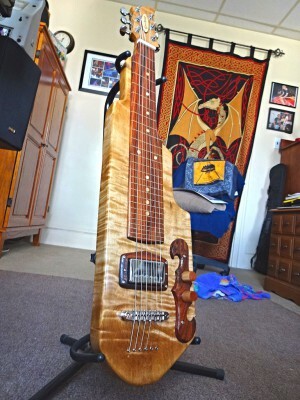 This lap steel was carved from a section of Douglas Fir. 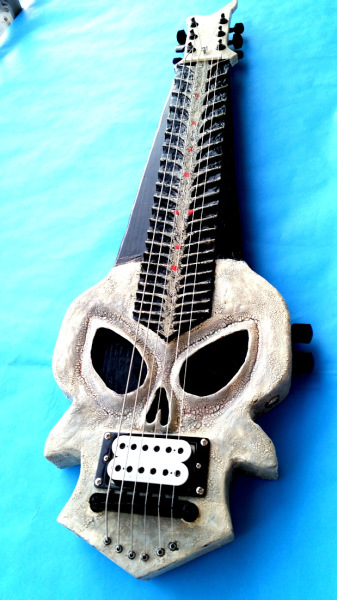 The fretboard was also hand carved. Brass and copper fittings, with brass plates over a Douglas Fir body. 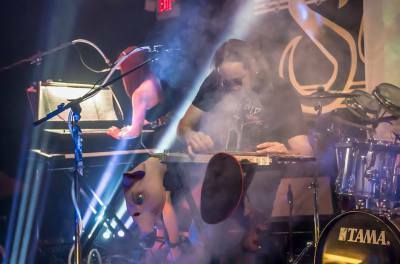 a copper sheet covers the fretboard with brass screwheads as fret dots. trimmed in leather. 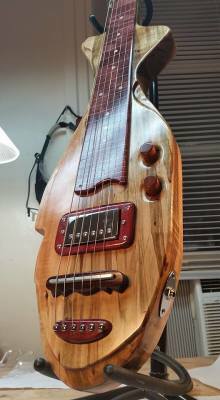 Fully functional lap steel with a Tesla Opus-1Humbucking pickup. 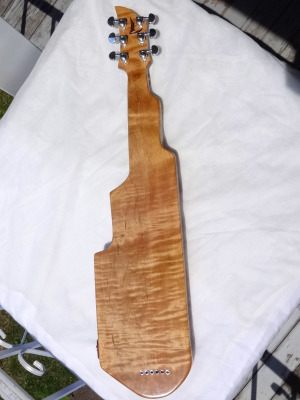 Made from a plank of Curly Maple. 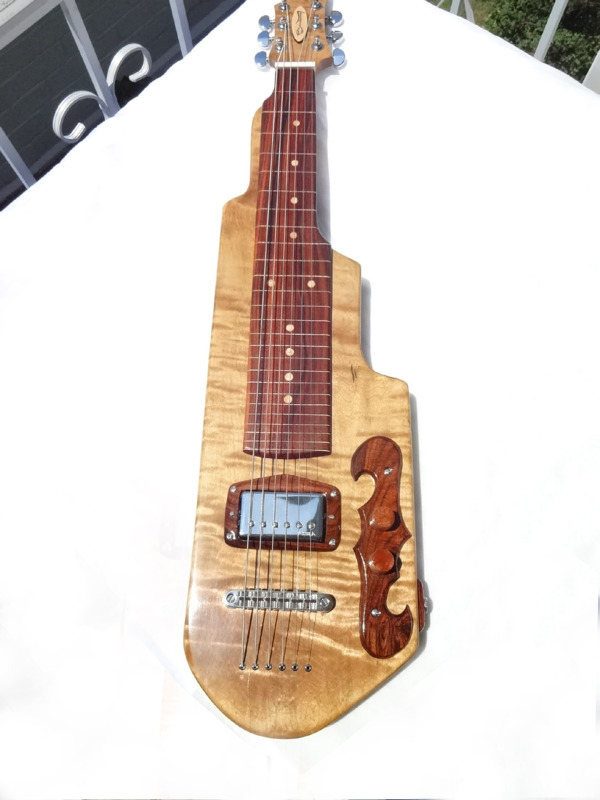 -33" x 7.5" (widest point) x 1.5"
-Honduran Rosewood Fretboard, Pickup ring, and pick guard. 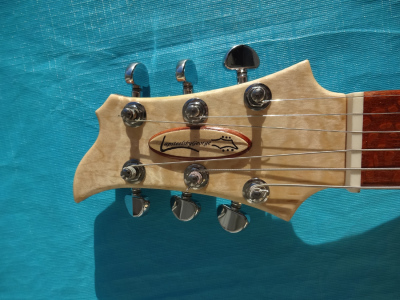 -hand turned Maple volume and tone knobs, topped of with Makore veneer. -Tru-Oil varnish finish. Durable and will not crack or yellow with age. 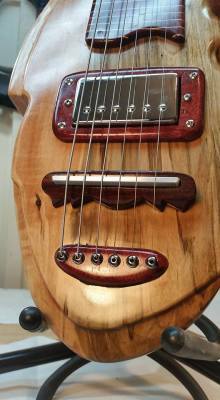 -Tesla Opus -1 Humbucker pickup. 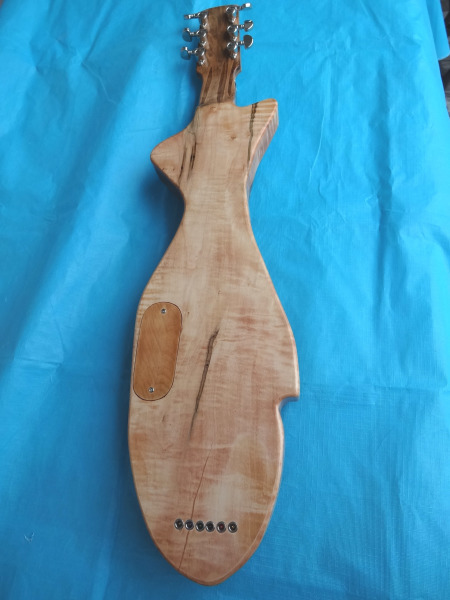 Made from a plank of Curly Cherry. 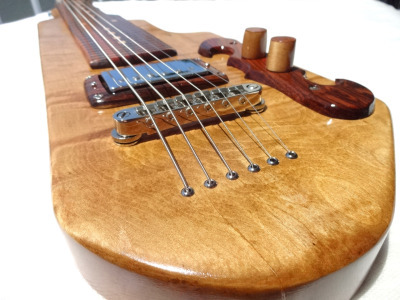 -Leopardwood fret board and pickup ring. 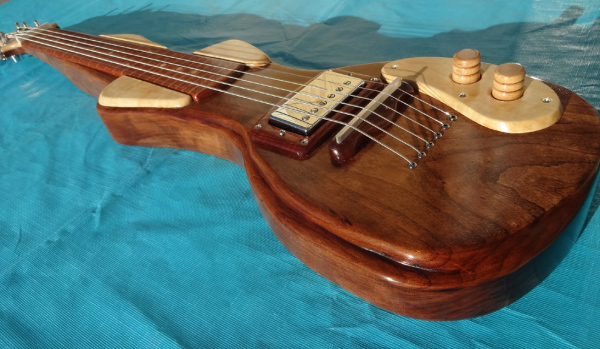 -Bone nut and Honduran Rosewood Bridge. 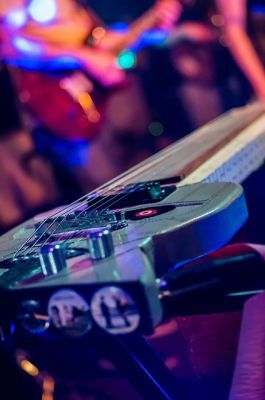 -CTS volume and tone controls. 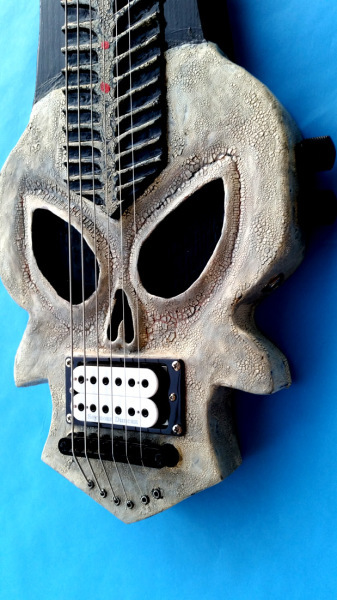 -Seymour-Duncan Custom 5 Humbucking pickup.